Navy Federal Credit Union is offering a 12 month CD rate of 3%, which is currently the highest yielding 12 month CD. It’s call the Special EasyStart Certificate and comes with a few stipulations. This CD requires a minimum deposit of $50 and has a maximum of $3,000. By putting the maximum deposit of $3,000 at 3% for 12 months, you would end up making $91.25 by the end of the 12 months. These are not the best rates, but if you are planning on holding onto your money, these rates are better than almost all savings account rates and earnings are guaranteed. Be sure to visit the Navy Federal Credit Union’s website to learn more about this Special CD offer. You can also find the best CD rates by viewing our CD rates page. Looking for the best Certificate of Deposit (CD) rates to get your money growing at the early parts of the year 2011? Looks like banks from all over America are here to help you earn money out of money. Certificates of deposit will allow your money to earn interest at a fixed rate set by the bank. With a minimum requirement, you’ll be able to earn much more than your regular savings account without having to tie your money to an establishment for a long time. CD’s can give you fixed returns at a period of 30 days, 60 days, 6 month CD’s, 1 year, and more, depending on what type of CD the bank offers, and the CD you choose. So where can you go to make the most out of your money? Right now, the top 10 12 month CD rates range from 1.24% to 1.35% interest rates. It may not be as high as CD’s in previous years, but these CD rates are as good as it gets for now. Leading the pack is the Metropolitan National Bank of New York City. With a minimum deposit of only $1,000, depositors can enjoy the highest CD rate with a relatively small amount of deposit. Investors not located in New York City need not worry since anyone can open an account online through their website. One thing depositors have to note however is that if they would like to collect their interest at maturity, they will have to inform the bank ahead of time as the bank will automatically roll the money into another 1 year CD. Early withdrawals will suffer a penalty, so it’s best to keep track of the timeline. Other banks that give as much as 1.30% interest on one-year certificates of deposit are Bank of Internet USA in California, Incredible Bank in Wisconsin, and Ascencia, PBI Bank in Louisville Kentucky. Below is a list of the top 10 banks with the best CD rates by far. Find out if you have one near your area, if not, you could always go ahead and open an account online. For those who are low on cash, Ally Bank in Midvale Utah will give you the best deal there is. With a 1.24% CD rate and no minimum deposit required, it gives hope to the starting investor. When shopping for CD rates, it’s always best to check out the fees that might come along with it. Be aware of the rules your bank imposes and get the lowdown on taxes, fees and penalties. This will help you make the smarter decision on getting the most out of your money. Tis the season to give thanks and in the realm of investing, there isn’t too much to give thanks for. Over the past year we have seen CD rates continue their downward fall, with a few bright spots like iGObanking, when they where offering the highest 2 year CD, which even beat the highest 3 year CDs. Even now as banks continue to cut rates, Melrose Credit Union continues to provide outstanding products. This small, single office in Queens New York is offering the best nationally available return on the 12-month, 24-month, 36-month and 60-month certificates of deposit. The other two banks, Sanibel Captiva Community Bank from Florida and Bank of Internet based out of San Diego California offer the best 3 month and 6-month terms. All of the major banks, such as Chase, Band of America, Wells Fargo, stopped offering competitive rates ever since the financial crisis started in 2008. CD rates can change at a moment’s notice so be sure to check our CD rates page for the most up to date information. 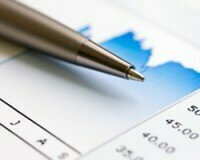 We list these banks and credit unions because they offer their rates to anyone nationwide. Unlike most credit unions, Melrose is open to savers regardless of where they live and work. 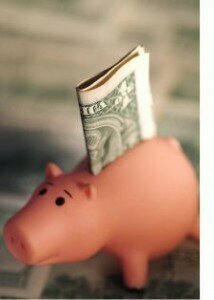 Anyone can open an account with Melrose for only a $1 joining fee and a minimum of $25 kept in a savings account. 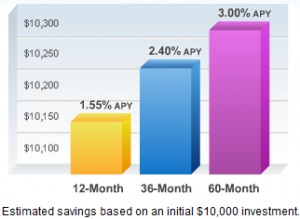 Ally Bank has the highest yielding 12 Month CD rate of 1.44% APY. With Ally Bank you can open a certificate of deposit with no money down, have no monthly fees and get their best rate guarantee. Ally Bank carries a Ten Day Best Rate Guarantee, which means that within 10 days of opening your account, if CD rates increase you will be bumped up to the higher rate automatically. Ally Bank has a 60 days interest, early withdrawal fee for closing out your CD early. They also have a ‘No Penalty CD’ offer at a lower rate, but your money is not locked up for the term of the certificate of deposit. How much can you earn from this rate? If you were to deposit at least $25,000 into the 12 Month CD from Ally Bank, you would earn $360.06 in 12 months. Ally Bank also has a competitive 5 year CD at 2.79% APY, that would earn $3,684.89 for the same deposit. If you decide to invest into any Ally CD’s be sure to watch your maturity date, as Ally will automatically renew the account if it is not closed. Check out their current rates here. CD Rates are holding steady starting off this week. There have not been any moves from the 3 Month to 5 Year CDs as the economy continues its fall, rates will stay low. CD Rates are projected to stay low until early next year, 2011. If you do get into a long term CD, ask to see if they have a one-time rate bump available, so that if rates do increase you can gain the benefits and not be stuck in an under-performing certificate of deposit. 12 Month CD – 1.76% APY at Melrose Credit Union with a minimum deposit of $5,000. 24 Month CD – 2.02% APY at Melrose Credit Union with a minimum deposit of $5,000. 36 Month CD – 2.52% APY at Melrose Credit Union with a minimum deposit of $5,000. 60 Month CD – 3.29% APY at Melrose Credit Union with a minimum deposit of $5,000. Melrose Credit Union is one Credit Union that allows any U.S. resident to join with a sign up fee of $1. This makes Melrose a great option since they also have some of the Nation’s best CD rates available. You can always compare the best CD rates from our database of banks and institutions to find the best options for your money. With the US economy in a rut it seems like no bank is willing to challenge Melrose Credit Union for the top spot of the 1 Year CD at a rate of 1.76%. They have been holding the top spot for the 12 month CD for 2 months now. Sallie Mae is the closest contender with a rate of 1.55% for the 12 month CD, but they have a high minimum of $10,000. Any other major bank will come in with rates under 1.50% with Chase Bank at one of the lowest rates of 0.25% for the 1 Year CD. With all of this said, Melrose Credit Union is looking even better than ever. Their minimum deposit of $5,000 is easily attainable for the average investor and is one of the few Credit Unions that is open to anyone, anywhere in the US. Melrose has a single location in Queens, NY and has an opening fee of $1. If you feel more comfortable with putting your money in a bank and not a credit union, Sallie Mae Bank is your next best bet. As we stated they hold the second best CD rate of 1.55%. New Dominion Bank, out of North Carolina with a minimum deposit of $3,000. Discover Bank, with a minimum deposit of $2,500. Bank of Interest with a minimum deposit of $500. Many smaller banks hold interest rates around 1.50% APY, rather than bigger banks whose interest rates barely break over 1%. To find the highest CD rates you will want to look into a local Credit Union or view our list of the best CD rates currently available. You can always view and compare CD rates from our CD rates database. 6 Month CD – 1.25% APY at New Dominion Bank with a minimum deposit of $3,000. These are the best places to find the highest paying CD Rates currently in the Nation. Most Credit Unions have many requirements to fulfill before you are allowed to become a member but Melrose Credit Union makes it possible for anyone to join. The cost of joining their Credit Union is $1. You can find the most up to date CD rates from our CD Rates page.